Photo by Ken Anderson Equine Photograph. 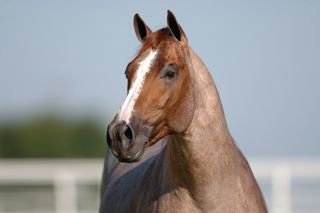 When Cay Oh Pep came to Australia in 2007 it was during the Equine Influenza outbreak and he was to be protected carefully by quarantine practices. 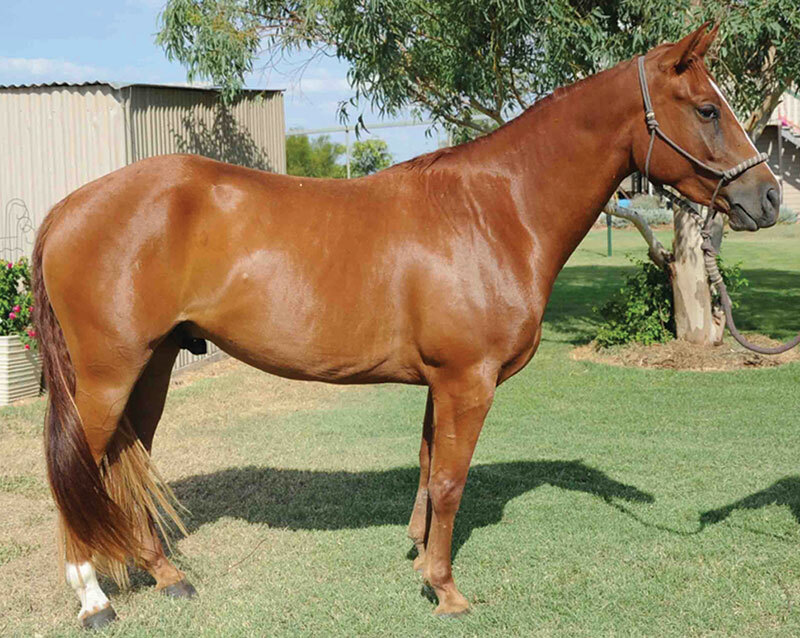 He went straight from the Sydney quarantine facility to Oakey for his first breeding season, before travelling to his new home at ‘Kildonan’ Goondiwindi. 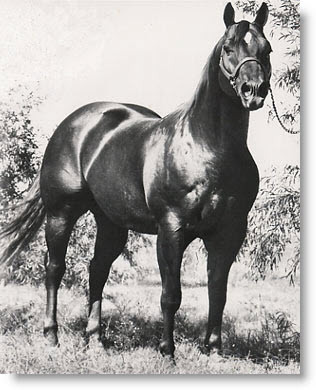 One of the first to breed to him was John Brekelmans with his mare Dashing Duckling. 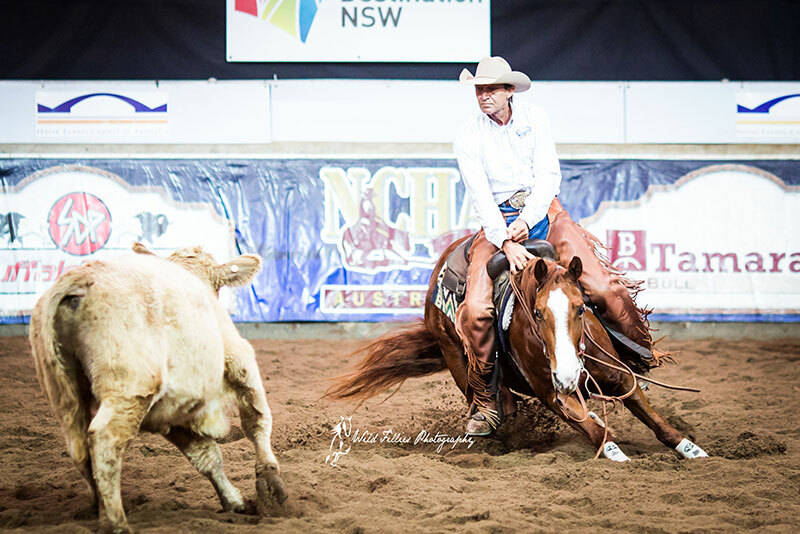 This breeding resulted in Lucky Duck, a 2012 NCHA Non Pro Futurity finalist, 2013 NCHA Non Pro Derby finalist (equal 3rd), Toowoomba Non Pro Derby Finalist (equal 2nd) and Comet Non Pro Derby finalist with highest aggregate going into the final. 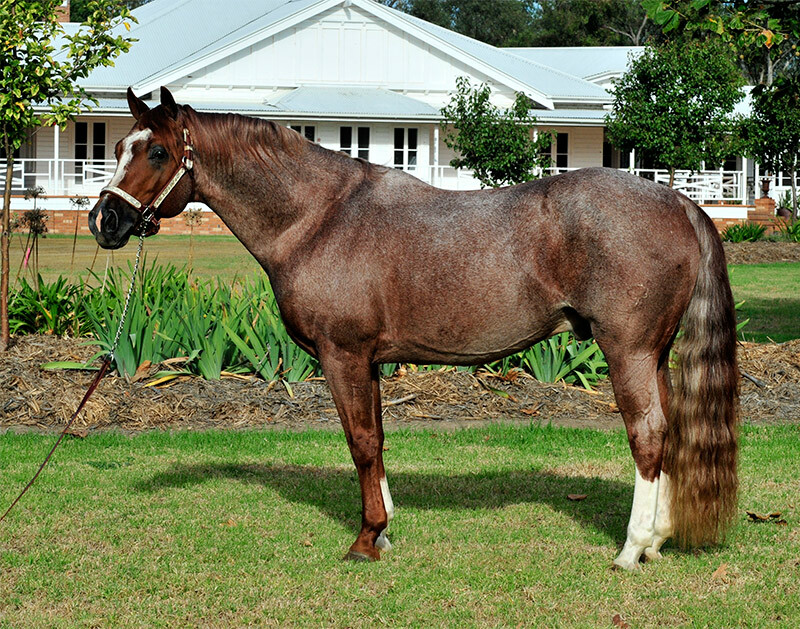 While it is common to hear people brag about horses bred in the purple – in the case of Cay Oh Pep his pedigree is about as good as it can get – overflowing with champions at the most elite level. 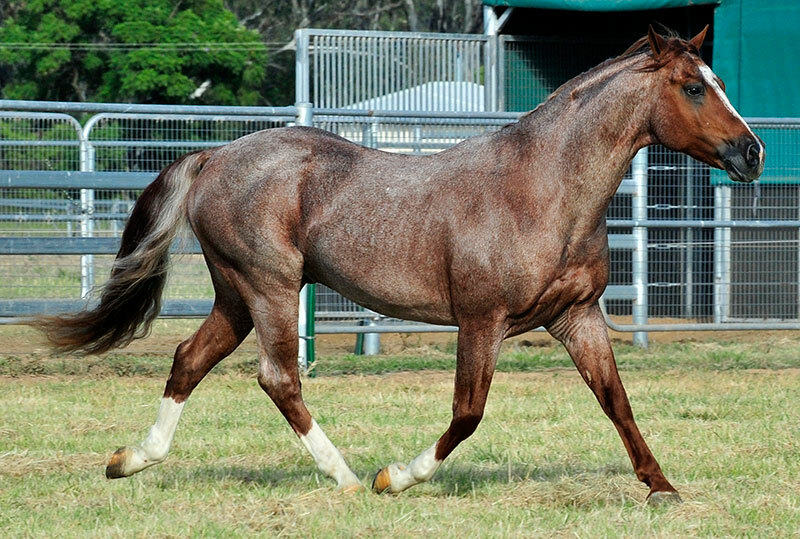 The depth of his family’s performance is unrivalled by other sires physically standing in Australia, particularly in Cutting, and, specifically at Futurity level. 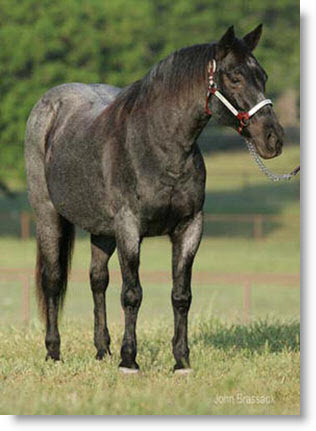 His sire Peptoboonsmal is a $25+ million-dollar sire and a former US NCHA Open Futurity Champion. He is from the immediate family of Oh Cay Felix, (US NCHA $452,322) the 2006 US NCHA Futurity winner and Oh Miss Caroline (US NCHA $206,818), also the winner of 2011 US NCHA Futurity. He is a half-brother to the dam of these two Futurity winners; Oh Cay Shorty (US NCHA $68,387) as well as Oh Cay Quixote (US NCHA $158,553) and MH Oh Cat With Moves (US NCHA $75,898), Latch Down (US NCHA $21,930) 2012 Augusta Futurity Reserve Champion, MH Oh Cay Lets Ride (US NCHA $39,051;) and more. Cay Oh Pep has US NCHA earnings of $63,000 and was an NCHA Super Stakes and US NCHA Derby finalist. He was also the Central Texas Cutting Horse Association 5/6 yo Open Reserve Champion. Kathy Daughn showing Cay Oh Pep in the USA. His trainer Kathy Daughn remembers Cay Oh Pep fondly. “Cay Oh Pep is a fabulous horse. He is very talented, has a huge stop, is smart about a cow; and just a nice horse to be around. He is a very sound horse, with nice bone and good feet. Zoe Compton purchased him as a four-year-old. We both showed him, me in the open and Zoe the amateur division. He was successful in both, and was great fun for Zoe to ride all over the ranch”. Kathy said the decision to sell Cay Oh Pep was very difficult, but as she and Zoe didn’t want to get into the breeding game it was inevitable that he would find a new home where his potential as a sire could be fulfilled. “On our way back from a show in Las Vegas, he became very I’ll. We had to stop in Arizona, they operated on him that night. He had developed huge gas bubbles in his intestines, resulting in a twist. After recovering from surgery, we still showed him, but the decision was made to sell because neither Zoe or I really want to be in the breeding business”. 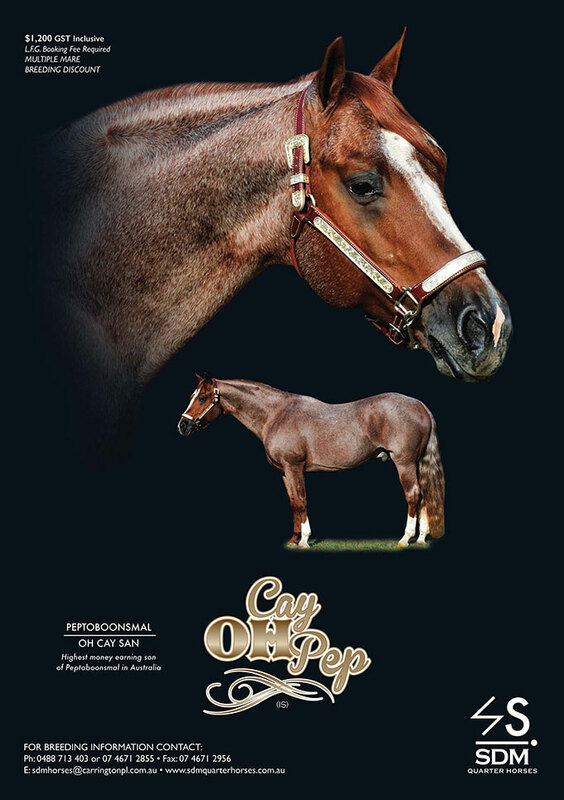 Cay Oh Pep is the sire of US NCHA money earners including Pepto Cays Surprise, Cays Playgirl, Cay I’m Smart, Cay Oh Pepto, Oh Cay Taxi, Peptoglo, Cayohpectate, and more. 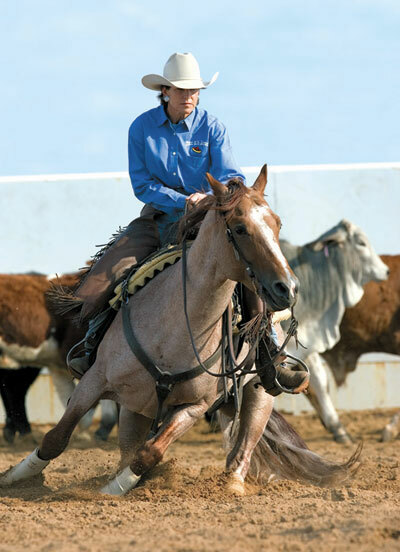 In Australia his performance progeny to date include Lucky Duck, an NCHA 2012 NP Futurity finalist. Cay Oh Pep sires very cowy, talented and smooth-moving horses. They are soft individuals that are light in the bridle and quick, reactionary movers that really read cattle. They are great stoppers and are willing, clean-minded horses. Like the Peptoboonsmal’s, they are gritty, big hearted horses that suit Australian conditions and riders. 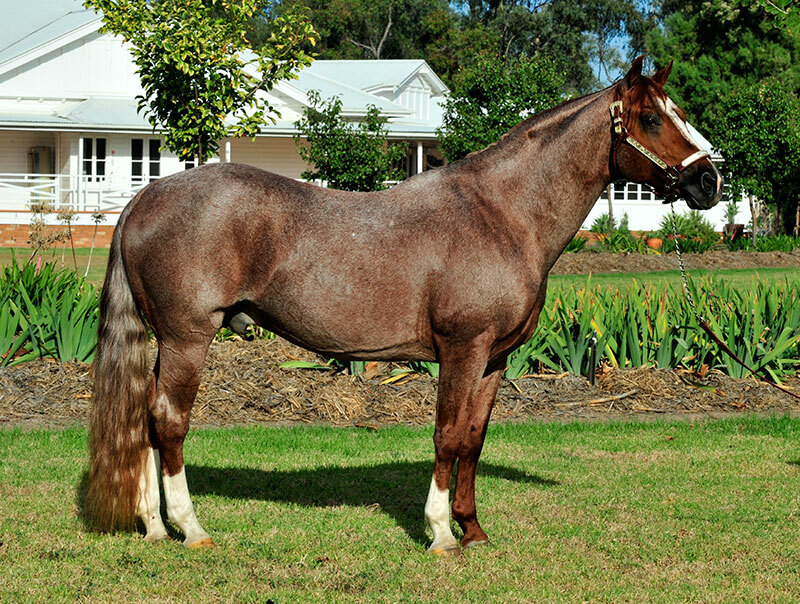 The Cay Oh Pep’s have a low center-of-gravity and are long reined and pretty headed. They are bright, easy to train and willing. Earner of $180,487. NCHA Certificate of Ability; NCHA Futurity Open Champion; Bonanza 4-Year-Old Open Champion; Gold Coast 4-Year-Old Open Champion; 2005 Equi-Stat, in the top 10 for 5-Year Leading Cutting Horse Sires, in the top 15 for Top Lifetime Sires All Ages/All Divisions, and a top 5-Year Leading Reined Cow Horse Sire. Sire of offspring earning in excess of $12,000,000 including LITTLE PEPTO GAL ($514,950: 3rd, NCHA Futurity Open; 5th, NCHA Super Stakes Open). 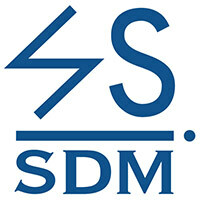 Dam of 17 earners with earnings of $2,614,201, including one of the US NCHA’s top earners Red White and Boon; as well as Peptoboonsmal, Autumn Boon, Mecom Blue, Duals Blue Boon and Bet Yer Blue Boons. The first US NCHA World Champion to sire an US NCHA World Champion. Earner of US NCHA $49,478 and US NCHA Hall Of Fame Inductee. Clicking on the link will lead to the horse’s listing on the All Breed Database Stud Book register. Cay Oh Pep Ad. Australian Performance Horse Magazine, Artwork by Tracey McClurg.